According to a new report, one of the world’s leading computer companies is considering the transition of its intended devices primarily to businesses on Android. However, this does not mean a complete transition from Windows-technologies. It is possible that there is a search for the best way to combine the advantages of both platforms. Elite X3 was, perhaps, the best device running Windows 10 Mobile from HP, which, incidentally, almost did not find interest among buyers. And there are many reasons for this. Among them there is a very high price of the device, and the orientation of the device to enterprises, and even the very fact that it is running Windows. But the idea of ​​the device which replaces all the computer devices that a user may need, is very good. And it is implemented with the help of Microsoft Continuum. The smartphone simply connects through the dock, and the user already has a full desktop computer. However, according to new rumors, the company is experimenting with a much more popular mobile OS – Android, and the company’s performance may appear in the successor to the HP Elite X3. Despite the fact that the Windows 10 Mobile platform does not seem to have found a significant place in the market, many users believe that this operating system will be maintained for many more years. A new report on the alleged plans of one of the most famous computer companies in the world came from the resource DrWindows.de. According to the report, HP will continue to develop “three in one” devices designed for businesses and even continue to work with Windows Mobile, but the company “also experiments … very intensely with Android”. The new message is hardly a big surprise for those who closely follow the trends of the high-tech industry. After all, Microsoft has very well implemented the support of Android with its software products, so the transition of HP Elite to the most popular mobile platform will not become an uncomfortable solution for users of these devices. Many Microsoft applications are available for the Android OS, and remote desktop software from HP can run on Android as well as on Windows 10 Mobile. Of course, the plans of Microsoft Andromeda seem more appropriate to the needs of HP, but since Android is offered a large selection of software, the transition to this OS can be quite user-friendly solution. 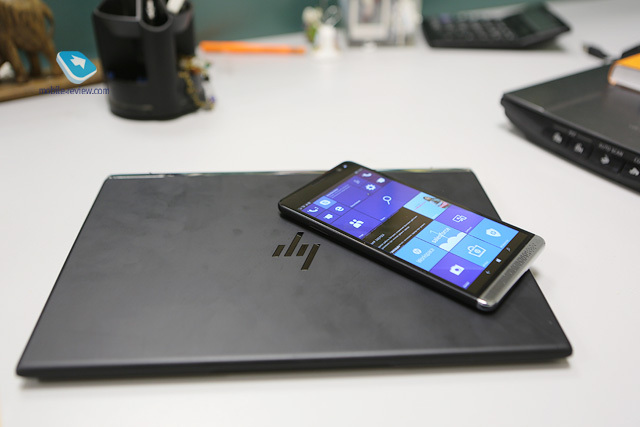 Except for HP’s desire to create a mobile solution for enterprises, there are more reasons to keep trying to “squeeze” Windows into the mobile form factor, Surur notes on the pages of the resource MSPoweruser. It is assumed that the best solution from HP could be to create your own Android distribution with Google Play store support. In this distribution, the company’s own services would be brought to the forefront and combined with the virtualized Windows environment when connected to a large screen. After all, as the PC operating system, users primarily perceive Windows as the first. Do you like the article? And all thanks to our partners from ukraine dating sites J4L.com! Follow the link – there are many interesting things!